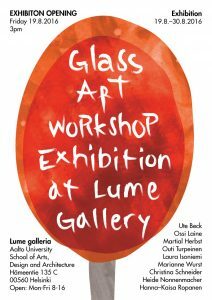 I’m pleased to inform you about the exhibition opening at Lume galleria. In this exhibition, several international artists and I, we are going to present our work product results of the last week. We are looking forward to meet you on 19.08.